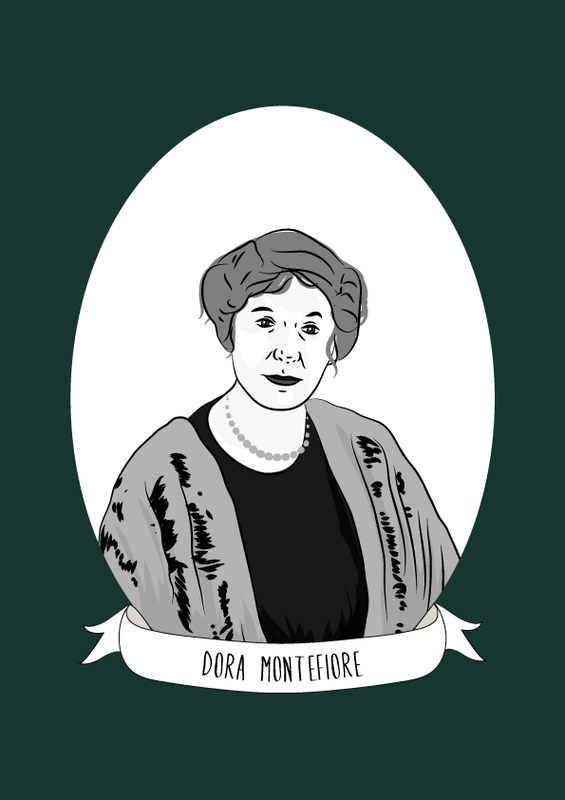 Dora Montefiore was a women’s suffragist, socialist, poet and writer. Montefiore was born at Kenley Manor near Coulsdon, Surrey. She was educated at home, before being sent to Mrs Creswell’s school in Brighton. In 1874, she travelled to Sydney where she met and married George Barrow Montefiore. They had two children before he was tragically lost at sea in 1889. Montefiore was enraged to find that she was not entiled to guardianship of her children, and became an advoate for women’s rights. In 1891, Montefiore held the first meeting of the Womanhood Suffrage League of New South Wales at her home. A year later, she returned to England where she joined the National Union of Women’s Suffrage Societies (NUWSS) before becoming dissatisfied with their progress and transferring to the more militant Women’s Social and Political Union (WSPU). Montefiore proposed the formation of the Women’s Tax Resistance League in 1897, and refused to pay her taxes as “Women should vote for the laws they obey and the taxes they pay.” Her home was frequently visited by bailiffs during a period of six weeks, at the end of which they seized her possessions to pay her debts. In addition to the WPSU, Montefiore was also a member of the Women’s Freedom League, the Social Democratic Federation (SDF) (where she helped set up the party’s women’s organisation) and the British Socialist Party. Like many others, Montefiore left the WPSU in protest against the more militant tactics the organisation had begun to utilise. She then joined the Adult Suffrage Society, becoming its honorary secretary. In 1920, Montefiore attended at meeting at Cannon Street Hotel in London where the Communist Party of Great Britain (CPGB) was formed. Throughout her involvement in activism, she was a prolific writer and wrote a column in The New Age, the SDF journal ‘Justice’ and the Daily Herald. Montefiore also produced pamphlets including Some Words to Socialist Women (1907) and travelled to congresses and conferences in Europe, the United States, Australia, and South Africa to learn about international campaigns for women’s suffrage.